Building your dream bedroom decor starts with the perfect place to rest your head every night. Crafted from solid hardwood, with a beautiful combination of simple elegance and rustic charm, our Tucson Sleigh Bed is sure to be the centerpiece that will influence your entire space. 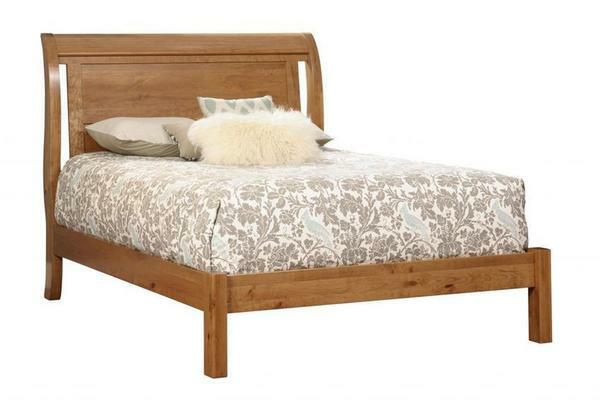 Featuring the elegant curves of a sleigh bed, with a simple low footboard that flows seamlessly with the side rails, this bed is a stunning example of Rustic Chic. The NEW Tucson Collection is handcrafted in the heart of Ohio's Amish Country. Using hand-selected pieces of the finest hardwood and bench-built to perfection, your new bedroom suite is an heirloom piece that is sure to be handed down for generations.